The pub has long held a special place in the culture of the West Coast. Most men identified with their local pub, where they met with friends and relaxed after the hard physical labour of jobs in mining, forestry and farming. There were a lot of pubs and most of them were fairly small. In 1947 Greymouth had 21, and even small mining towns like Blackball had three or four. Beer was the drink of working men, and the price of beer and cigarettes was always a matter of local debate. 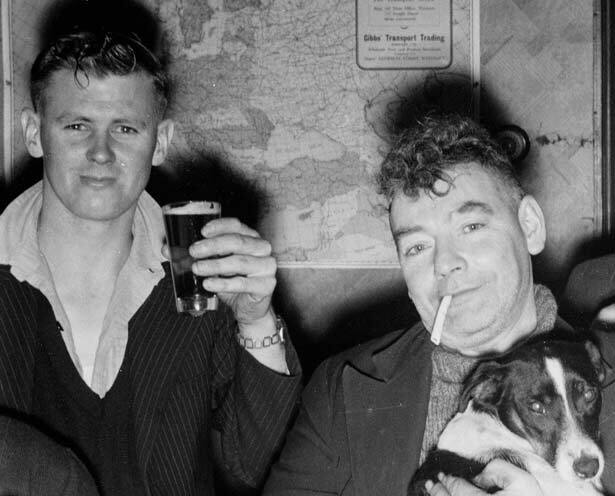 An organised move by the hotels to raise the price of beer in 1947 led to one of the most effective consumer boycotts ever seen in New Zealand. After a four-and-a-half-month standoff, the hotel keepers caved in, and the price was restored to its old level, for the short term at least. It was a sign of the power that determined consumers and organised labour could wield, and the implications were not lost on politicians and brewery owners. We have 6 biographies, 9 articles, related to 1947 Greymouth beer boycott.